The Portable Nail Workstation features a tabletop that can quickly be folded down for compact storage. Plus, there are 2 shelves on the side to hold all your important essentials. Those shelves have a wire barrier to prevent things like bottles from accidentally falling off. 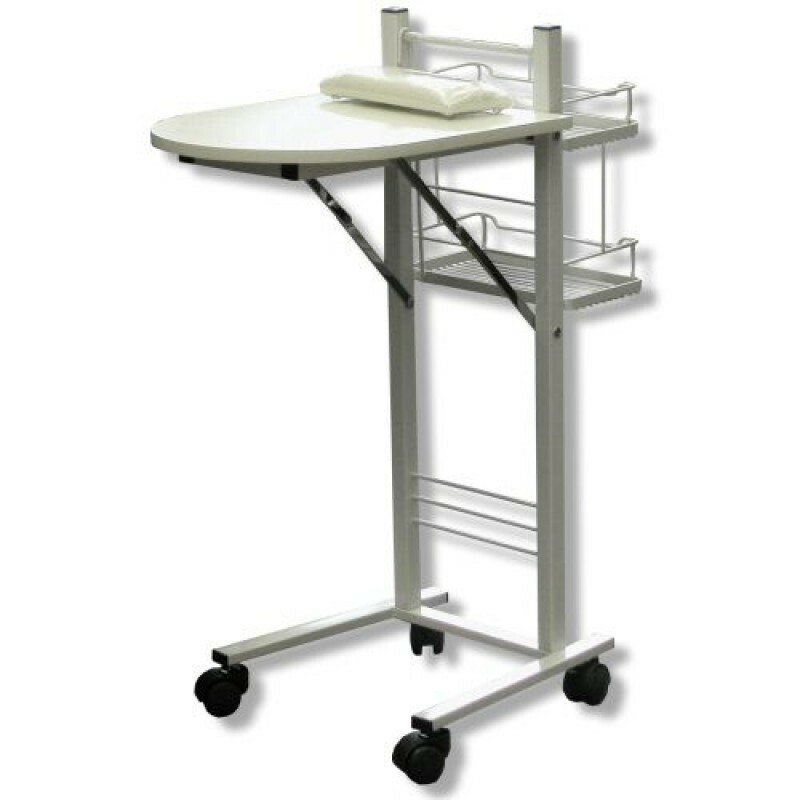 This convenient portable nail table sits on 4 sturdy wheels for exceptionally easy mobility. Simply roll it where you need it!